This is second post in the online reputation management series, you can read the first part here. According to Alexa’s top 500 sites on the web list, Wikipedia is fifth most visited website in the world, as such it is very powerful for online reputation management (also knows as ORM). The fact that Wikipedia shows up on first page of Google for 99% of searches, highlights how important it is for search results. Lets deal with some of the scenarios when it comes to starting an article on Wikipedia. the negative stories you were trying so hard to push down, are now higher up. The reason? Your wiki page is telling Google that those stories are important sources of information about your company. So as you see, while Wikipedia is very powerful, that same power might be used against you. If these negative results show up on page one of Google search results, starting a Wikipedia page, might do wonders for your online reputation management. Not only, will the Wiki page rise up in the search results, it will also boost the ranking for any positive (reputable) source you used as a reference. Scenario 3: I am doing reputation management proactively. My online reputation is good, I don’t have a Wikipedia page yet, should i start one? If your reputation is clean, then like in scenario 2 above. Go ahead, create a wiki page will probably work well for you. Since we dealt with the question of “should you”, the next question is “could you”. Just because you have business, that in and of itself, is doesn’t guarantee you one. So let’s look at primary rule in place for creation of pages on Wikipedia, notability. An organization is generally considered notable if it has been the subject of significant coverage in reliable, independent secondary sources. Trivial or incidental coverage of a subject by secondary sources is not sufficient to establish notability. All content must be verifiable. If no independent, third-party, reliable sources can be found on a topic, then Wikipedia should not have an article on it. What can be done, if the Wikipedia article already exists and is very negative. We have recently had an online reputation management client in this situation. The person suing him, created the Wikipedia page about our client. As you can imagine it contained and presented the most negative information possible and did it in most negative fashion. 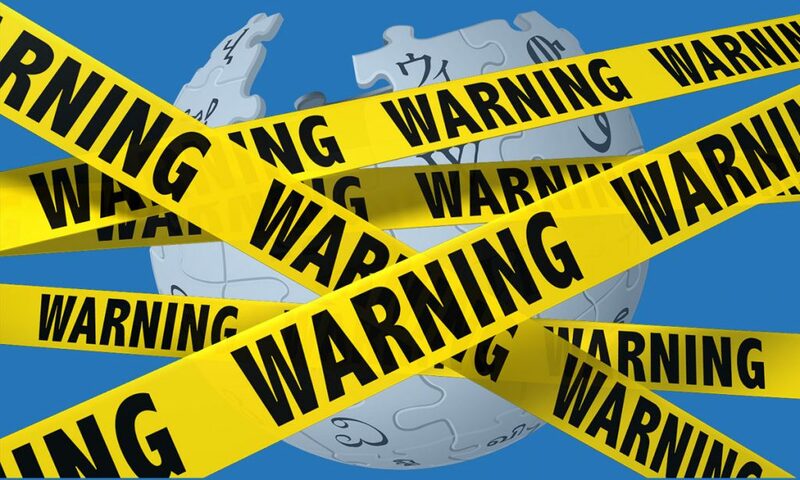 Fortunately, the wikipedia rules were mostly on our side, and here is how we used them. Articles must not take sides, but should explain the sides, fairly and without editorial bias. This applies to both what you say and how you say it. Make a lot of small edits instead of a single huge edit. If you make one big edit its much easier for the other editor to undo your whole change, and justify it by finding one small mistake. justify his own edits / reverts in comments. if he doesn’t, It looks like he is editing not in good faith, while your edits are above reproach. Don’t add any original research. By adding original research you are inadvertently opening yourself up to the possibility of being banned because of probable conflict of interest (being too close to the subject). Don’t delete negative info if it’s supported by reputable sources. Instead rewrite the sections presenting negative information from neutral point of view. As expected the opposing editor went on to undo one edit after another. At this point we left a warning on the other editors talk page, asking to stop undoing edits without explaining his reasons. The editor in question ignored our request. Our next step was to start a discussion about the most contentious sentences on the article talk page and invite other editors into the discussion to weigh in with their opinion in order to arrive at a consensus. The opposing editor has also commented on the discussion. But, instead of being factual his comment consisted mostly of conspiracy, original research and further claims that only someone intimately involved with the opposing team in a lawsuit could have known. This further discredit his standing. To top it off instead of accepting his defeat about these few sentences he went on to undo the edits we made corresponding with achieved majority consensus. Editors who engage in edit warring are liable to be blocked from editing to prevent further disruption. While any edit warring may lead to sanctions, there is a bright-line rule called the three-revert rule (3RR), the violation of which often leads to a block. Material about living persons added to any Wikipedia page must be written with the greatest care and attention to verifiability, neutrality, and avoidance of original research. The result was that the opposing editor was blocked from doing any edits on Wikipedia for 30 days. As you see, Wikipedia is important for reputation management, but can both help and hurt. And you should think long and hard before opening this can of worms that is virtually impossible to close. We also highlighted what can be done if your reputation management clients page was “hijacked” by the negative info. Do you have a question about use of wikipedia for online reputation management? Feel free to leave us a comment below or reach out through the contact form.